HBO is submitting Beyoncé’s Black Lives Matter-honoring visual album, Lemonade, for 2016 Emmy Award consideration in the variety special category. Underneath Lemonade’s lyrics fueling infidelity rumors between Beyoncé and her husband Jay-Z lies a liberal anthem awash with references to racial politics and black nationalist feminism. The cultural concept film features the mothers of Michael Brown and Trayvon Martin, a brazen tribute to the patron saints of the anti-police Black Lives Matter movement. Moments after the camera pans the faces of black mothers holding portraits of their slain sons, the rumblings of the song, featuring Kendrick Lamar, “Freedom” begins. “Kendrick and Beyonce are two artists who’ve spoken decisively and powerfully about blackness in America, and Freedom is a fittingly barn-burning collaboration,” writes USA Today’s Maeve McDermott. Indeed, the visuals and the lyrics in Beyoncé’s Lemonade were meant to honor Black Lives Matter and perpetuate the United-States-of-Racism narrative. And that effort led to praise from herds of black luminaries, who took notice. Among other professors and TV news personalities was Black Lives Matter co-founder Johnetta Elzie, who went to Twitter Saturday night to heap praise on Beyoncé’s new album. The HBO special also shows Beyoncé taking a bat to a New Orleans Police Department surveillance camera — imagery that calls back to scenes from the singer’s Formation music video, where she is seen sitting on a sinking police car. 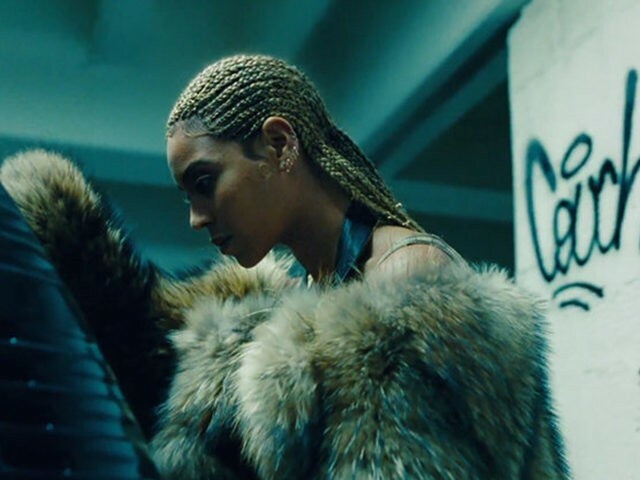 Saturday’s release of the visual adaptation of Lemonade coincided with its audio release on streaming music service Tidal, which has donated $1.5 million to Black Lives Matter and other political pressure groups. The 34-year-old singer is also set to launch the Formation World Tour, which begins April 27 in Miami. The 2016 Emmy Awards ceremony airs September 18, 2016.